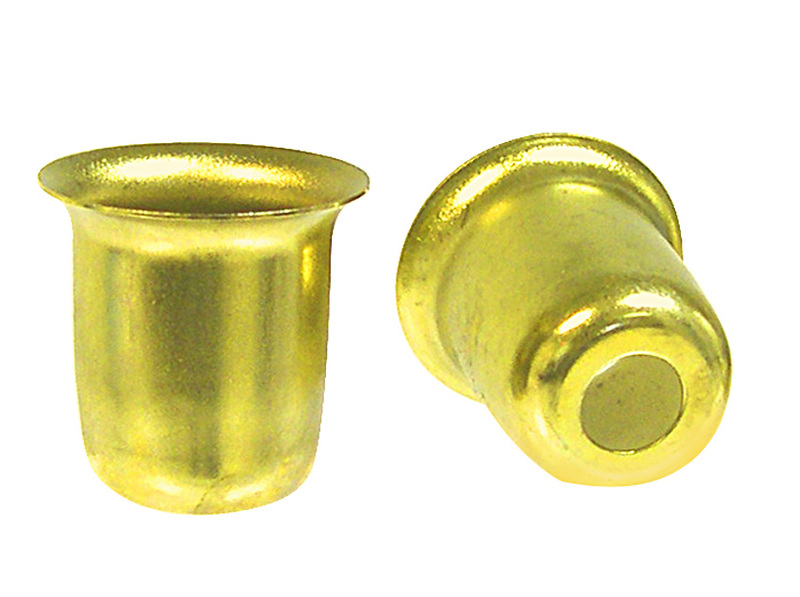 Brass Plated Candle Cup and Candle Holders for tapered Wax and Oil Candles. Candle Cups Measure 1-1/8"H x approx. 15/16" dia. With 7/16" Bottom Hole in style "A". Candle Cups Hold Glass Candles (click below to view) and Most Standard Size Tapered Wax Candles. Bright Brass Plated Metal Resists Tarnishing. B) Candle Cup On Stake with Forked Bottom. Rigid wire stake is 4-1/2"L & Fork is 2-3/8"L. Bright brass plated finish. Cup holds standard size wax tapered candles and glass candles that include a rubber gasket to provide snug fit. B)Candle Cup On Stake with Forked Bottom. Rigid wire stake is 4-1/2"L & Fork is 2-3/8"L. Bright brass plated finish. Cup holds standard size wax tapered candles and glass candles that include a rubber gasket to provide snug fit.